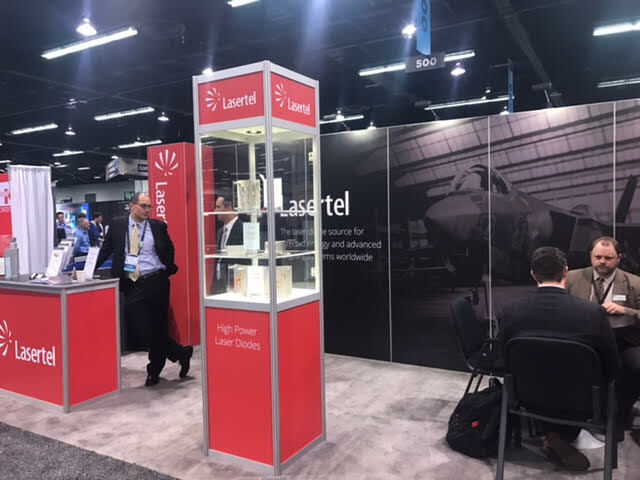 Lasertel recently exhibited at the 2017 SPIE Defense + Commercial Sensing conference in Anaheim, California on April 11-13. Representatives met with companies interested in 1550 nm laser illumination and pointing. Our new 1550 nm laser diode platform is particularly relevant for covert military applications that demand high power, low SWaP and reliability in harsh environments. Visit lasertel.com to learn more about our customizable laser diodes or contact us at info@lasertel.com. 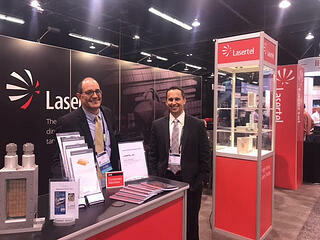 Robert Walker and Brian Caliva demonstrating the 1550 nm laser at SPIE DCS. 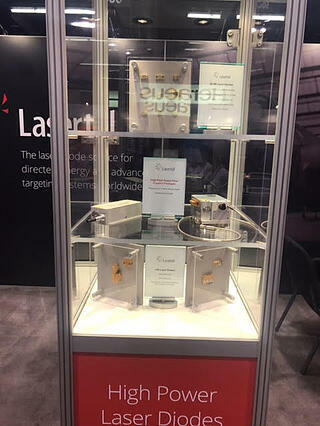 Showcasing Lasertel high power laser diodes for defense applications such as directed energy, range finding, and illumnation and pointing.